Haberecht Bros DOE Spanner - about 5" long. Closeup of Makers plate from Harrows above. The history of H Haberecht & Haberecht Bros. Almost all Australian Haberechts and their descendants are descended from Johann Gottlob HABERECHT and Maria Elisabeth HUEBNER. Johann Gottlob was born 7th October 1782 in Lampersdorf, Reichenbach, Silesia, Prussia. Maria Elisabeth was born in Weigelsforf, Silesia. Both died in Light Pass, South Australia - Johann in 1864, and Maria in 1860. Their son Johann Carl Gottlob HABERECHT had emigrated to Australia in 1848, settling first in the Barossa Valley in South Australia, then later travelling overland to the Jindera area of southern New South Wales. Another son, Ernst Wilhelm HABERECHT, had died in Prussia in about 1867. His widow and most of his children eventually went to Australia as well, but settled in Queensland, establishing the Queensland branch of the Haberechts. Nothing was known of this branch by the other present day Australian Haberecht family members, until Glenda and Don Haberecht began researching the family history. Reinhardt Molkentin set up as a blacksmith and wheelwright in Jindera in 1872. In the late 1870's he was in partnership with A Haberecht who was a contract builder in Jindera and surrounding districts. Molkentin died in 1885 as the result of a work accident. Harry Haberecht then carried on the business for a number of years until Molkentin's sons Fred & Paul were old enough to take over. 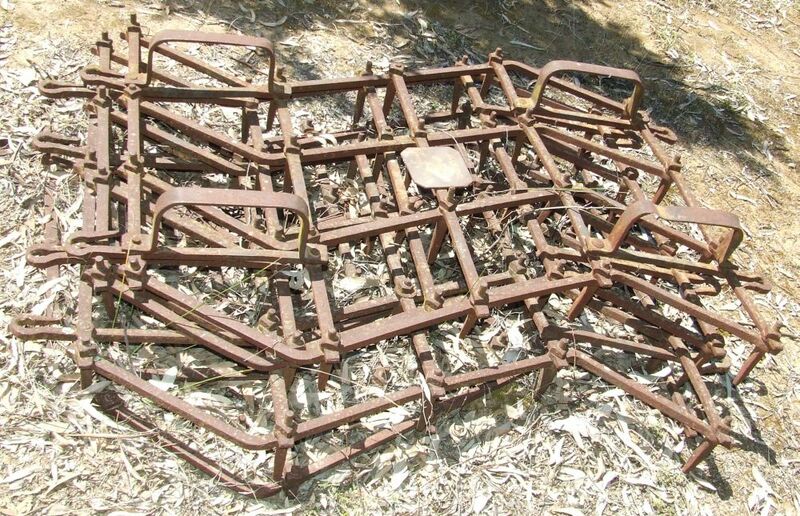 Fred sold the business in 1914 and moved to SA, working for the East Bros making ploughs. Mr C. F. HABERECHT was one of the earliest settlers in Henty. He and his brothers set up two factiories in 1886 - an agricultural implements factory and a factory where "Buggies Coaches and Waggons" were built. 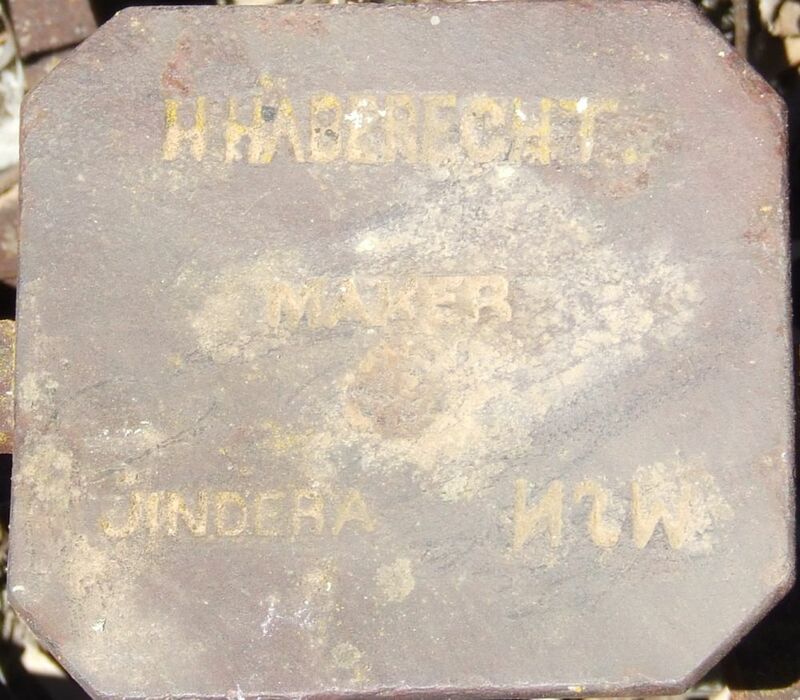 Haberecht's carried on until 1912 when they sold out to Whitlocks. 2. From early beginnings: Henty centenary 1886-1986 - A book published by the Henty Centenary Committee in 1986. 3. Jindera: A town and its people, published in 1987 by the Jindera Bicentennial Book Committee. Spanners marked Haberecht Bros are rare.